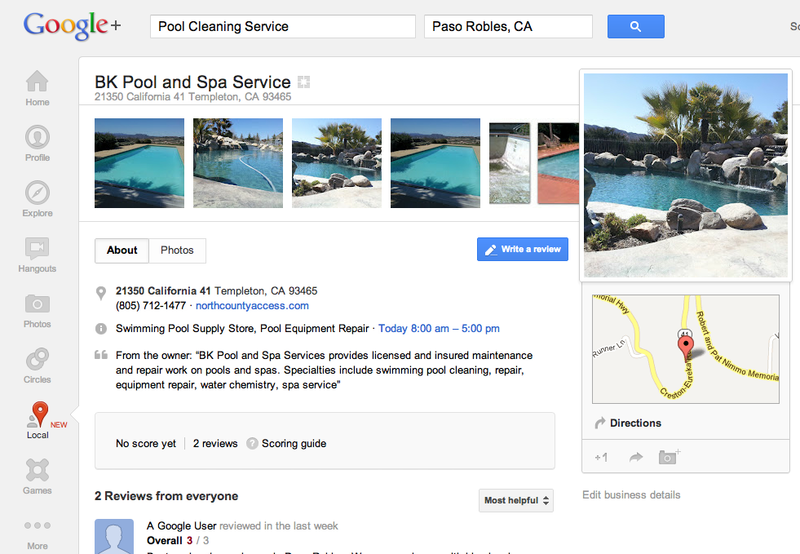 The big difference with the new format is how Google+ Local handles reviews. Their star system has been replaced by Zagat scoring, and leaving reviews now requires a Google+ account (however, you do not need a Google account to view reviews or page information). Existing reviews appear to have migrated to Google+ Local and are in the process of being converted to the Zagat scale. All users must have a Google+ account to review a Google+ Local Page (previously, anonymous reviews were permitted). All new reviews written will show the reviewer’s true name, no more anonymity like Place Pages. Google is implementing a built-in review spam mechanism. This system will filter out reviews that Google does not think are real or legitimate. The past 5 star ratings scale has now changed to the Zagat 30 point scale. Many pages still read “No Score Yet,” which – not to worry! – will change as each page receives more reviews. We are excited about this change and are loving the way the Google+ Local pages are looking. We expect to see more changes from Google in the coming months and will keep you posted as to how these will affect your listings. To check out your new page, visit https://plus.google.com/local and sign in with a Google account. After you sign in, you can search for your business using the search bar at the top of the page. You can also visit http://www.maps.google.com and search for your business. This entry was posted in Local Search and tagged Google Places, Google+, Internet Marketing, Zagat. Bookmark the permalink.